Rescuers freed the last four of 12 Thai boys and their soccer coach from deep inside a flooded cave on Tuesday, a successful end to an extraordinarily perilous mission that gripped the world for more than two weeks. 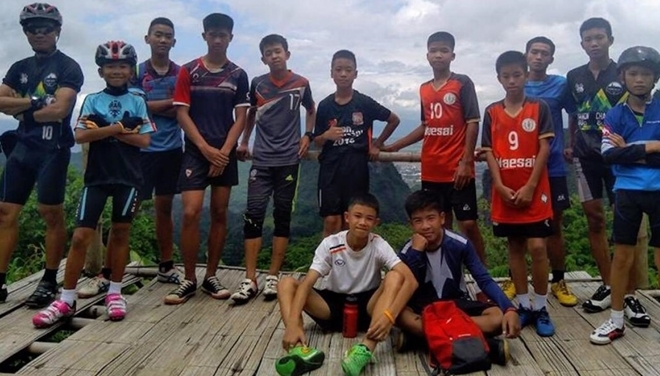 Thai soccer team saved from flooded cave. The last five were brought out of the cave on stretchers, one by one over the course of Tuesday, and taken by helicopter to hospital. Three members of the SEAL unit and an army doctor, who has stayed with the boys since they were found, were the last people due to come out of the cave, the unit said.